In 2016 Tess presented at the ANZSOC Post Graduate Conference and was awarded the prize for best presentation. In 2017 Tess presented at a number of conferences including The International Coalition for Children of Incarcerated Parents Conference in Rotorua as well as the The Victorian Criminology Post Graduate Conference in Melbourne where she was awarded best abstract for a PhD student. Bartlett, T. & Eriksson, A. (2018). How fathers construct and perform masculinity in a liminal prison space. Punishment and Society. Advance Access. Tess Bartlett is the Founder and Director of This Simple Space where she is the Head Mindset Coach and Research Consultant. She is a certified Life Coach, NLP and Meta Dynamics™ practitioner and holds a BA in Psychology and Criminology, Honours (1st class) and Masters in Criminology and is currently completing a PhD examining the experiences of primary carer fathers imprisoned in Victoria. Along with one-on-one coaching Tess runs workshops and online programs and has been a guest speaker at wellness events. She has also published in magazines, books, and guest featured on blogs and is currently writing her first book. Tess has worked in as a researcher and teaching associate in higher education since 2008 working in the field of criminology and criminal justice. 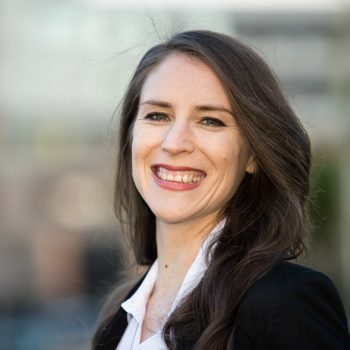 She has been awarded a number of awards and scholarships for her research on imprisoned primary carer fathers including the award for the best postgraduate presentation at the Australian and New Zealand Society of Criminology Postgraduate and Early Career Researcher Conference in Hobart (2016) and the Victorian Postgraduate Criminology Conference award for best abstract (2017). She has also published in high ranking peer-reviewed journals including Punishment and Society, Child Care in Practice, and Law and Context. In 2017 Tess was awarded a Sylff Research Abroad Grant and travelled to the US to meet experts in research and program design regarding families in prison. During this trip Tess presented at the American Society of Criminology Annual Meeting in Philadelphia, organised a panel discussion exploring fatherhood and criminal justice with scholars from the UK, Europe and Australia, and was a discussant on a roundtable discussion on prisoner’s families. In late 2017 Tess along with several other SYLFF fellows were awarded the Local Association Networking Support (LANS) program designed to facilitate an event for SYLFF fellows.